One of the main problems, say organizers of this weekend's pop-up "transit station" the Purple Line, is a lack of engagement. 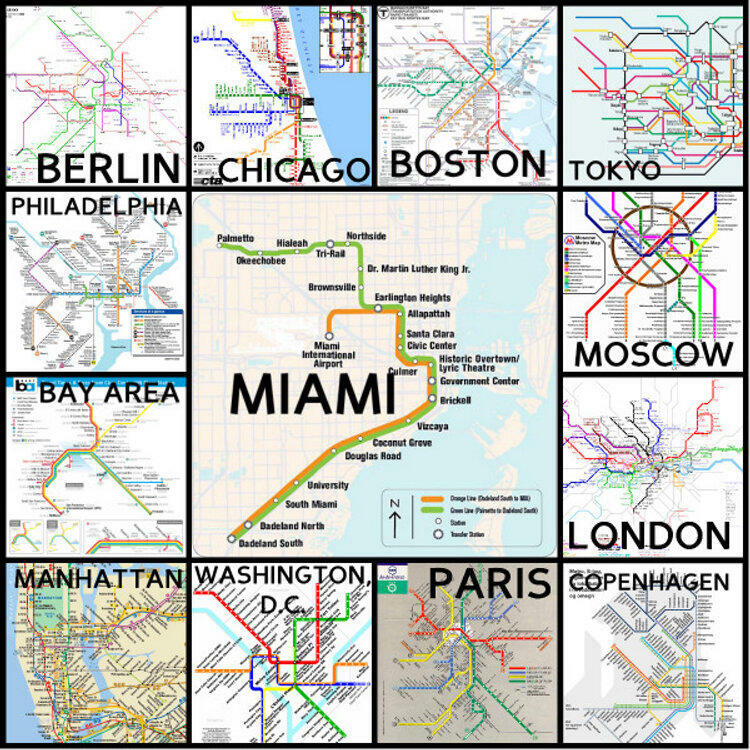 For Miami transit to improve, we basically need people to care, the project's organizer, Marta Viciedo, told WLRN's Arianna Prothero. Wisely, Viciedo and her cohorts have wrapped up a transit awareness effort into something Miami residents can easily recognize: a party. The Purple Line itself is taking over the underpass at NE 2nd Ave. and NE 36th St., and turning it into a weekend-long shebang. The idea is to get people moving through the city's urban core, and to celebrate organizations that promote alternative transit options -- car2go, the pro-bike Emerge Miami -- alongside music, art, and culture. Imagine, asks Viciedo, if there really was a train station at that bustling crossroads of Miami's various creative neighborhoods. "It's a demonstration project," she told Prothero. "[Imagine] what the convenience of getting off of a train right there and walking right over to Midtown or the Design District would be like." The temporary "station" will span some 20,000 feet, and besides business tabling, you can count on food trucks, flash mobs, and performances by the Front Yard Theater Collective. Then, within all that, local marketing groups the Black Key Group and Mixed Media Collective present an event-within-an-event, taking over a shipping container dubbed "the Den" for the weekend. Today, Friday, March 8 and Saturday, March 9 the Den presents a pop-up art gallery and record shop proffering works by top street artists and merchandise from favorite local bands. It all caps off with an outdoor show by local favorites Afrobeta on Saturday night. Admission to all of these events -- and the dream of a better-connected Miami -- is free. The Den at Purple Line is open 4 p.m. to midnight Friday, March 8 and 10 a.m. to 10 p.m. Saturday, March 9. Afrobeta performs Saturday at 7 p.m.